Shadow of the Tomb Raider is practically here. Some may argue the wait is still too long. Microsoft feels your pain and has come up with a solution. Tomb Raider fans can now relive the excitement of old-school Lara Croft games with Xbox Backwards Compatibility. Both Tomb Raider: Legend and Tomb Raider: Anniversary are on Xbox Backwards Compatibility, along with a neat little sale. Tomb Raider: Legend and Tomb Raider: Anniversary are both great Tomb Raider titles in their own right. The games, which originally ran on PlayStation 2, PlayStation 3, Xbox, and Xbox 360, are now also able to run on Xbox One! The good news comes via Microsoft Xbox Live Director of Programming, Larry ‘Major Nelson’ Hryb. In a tweet, Hryb mentioned that both games are available now and that both games are discounted for the time being. As of publication of this post, both titles can be picked up for R16.50 ZAR or your local equivalent. For titles as good as these, anything less than full price is a steal! If you do decide to pick one up, I highly recommend Legend. It is the seventh major instalment in the franchise, but is regarded as a standalone adventure. In Legend, players will discover ancient realms that hold clues to Lara’s past. It features a cool grappling hook and beautiful environments – not unlike Square Enix’ current Tomb Raider series. Tomb Raider: Legend is also technically a prequel to the first Tomb Raider title, and by extension Tomb Raider: Anniversary. Tomb Raider: Anniversary, on the other hand, is essentially a remake of the original Tomb Raider. It is described as a “reimagined adventure inspired by the original” Tomb Raider title and is largely considered as one of the best games in the entire franchise. The remake allows for current-generation upgrades, such as higher resolution support, better visuals, real-time effects not seen before in past Tomb Raider titles, and fancy new lighting and shadows. 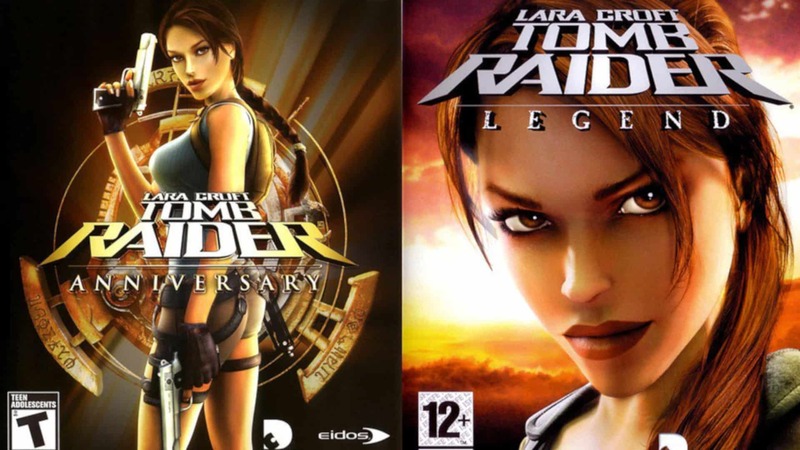 Tomb Raider: Legend and Tomb Raider: Anniversary join Lara Croft and the Guardian of Light, and Tomb Raider: Underworld. I am certain that, given another year or so, most Tomb Raider titles will also have made their way to Microsoft’s excellent compatibility program. While we wait, however, both Legend and Anniversary are incredible games to own and to play. They may even satiate the need for Shadow of the Tomb Raider… who am I kidding? !